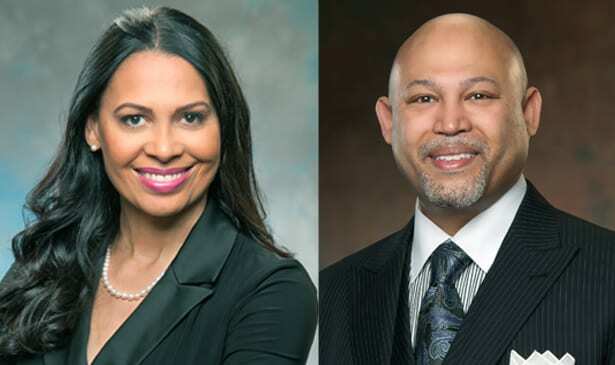 NASHVILLE, TN — Dr. Deborah Cole, President and CEO of Citizens Savings Bank & Trust Company, announces staff changes. Joan Fleming-Ridley has been promoted to Vice-President of Residential Mortgage Lending and is responsible for all mortgage operations including originations, processing, underwriting and the administrative function. She is also responsible for leading the bank’s initiative on homebuyer education and financial literacy. Fleming-Ridley joined Citizens Savings Bank & Trust Company in August 2010. Her charge was to rebuild and lead the bank’s residential mortgage division. She is highly respected in the banking industry throughout the state. A native of Dayton, OH, Fleming-Ridley’s professional career in finance and banking began in 1995, when she joined SunTrust Bank in Nashville, Tennessee. In 1999 she joined GMAC Mortgage Corporation as a Government Specialist in Mortgage Loan Origination; she was the top producer for the next six (6) out of seven (7) years. She has worked on both the retail and wholesale side of mortgage lending. Fleming-Ridley is a non-traditional student at Tennessee State University, majoring in business administration, while simultaneously working on her graduate degree from Barret School of Banking in Memphis Tennessee. Fleming-Ridley and her husband Keith, are the parents of Jasmine Fleming, who is a junior at Howard University in Washington, D.C.
Fleming serves her community in additional areas as well. She is a member of the board for Residential Resources and serves on the Homeowner Selection Committee for Habitat for Humanity and a committee member for the American Banking Association. Eric Walker, a long-time official at Citizens Bank moves to the position of Residential Mortgage Loan Officer. His 27 years in the financial services industry has involved such areas as business development, commercial lending, residential mortgage lending, consumer lending, retail banking and faith based lending. Walker began his banking career in 1990 at The National Bank of Detroit, in Retail Banking. He was heavily recruited out of college for their management training program, where he went on to hold numerous management positions and later appointed as an officer. This strong financier returned to Nashville and joined First American National Bank. He served as a Vice President in Retail Banking and managed two branch offices in the downtown Nashville area. He also served as President of Equity Plus Mortgage Company in Nashville for 12 years, and for four years he served on the board of the Tennessee Association of Mortgage Brokers, where he held the position of President for the State of Tennessee. He also served as President of the Nashville Urban Bankers Association. Walker’s social and civic activities include his lifetime membership in the Omega Psi Phi Fraternity, Inc. He has also been active in several organizations including the National Association of Mortgage Brokers, Junior Achievement, Nashville Urban Bankers Association, Real Estate Investors of Nashville, Pencil Foundation, Red Cross and United Way. Walker is an active member of Mt. Gilead Missionary Baptist Church Nashville. He is married to Cherita Walker and has a daughter Aerial Walker.